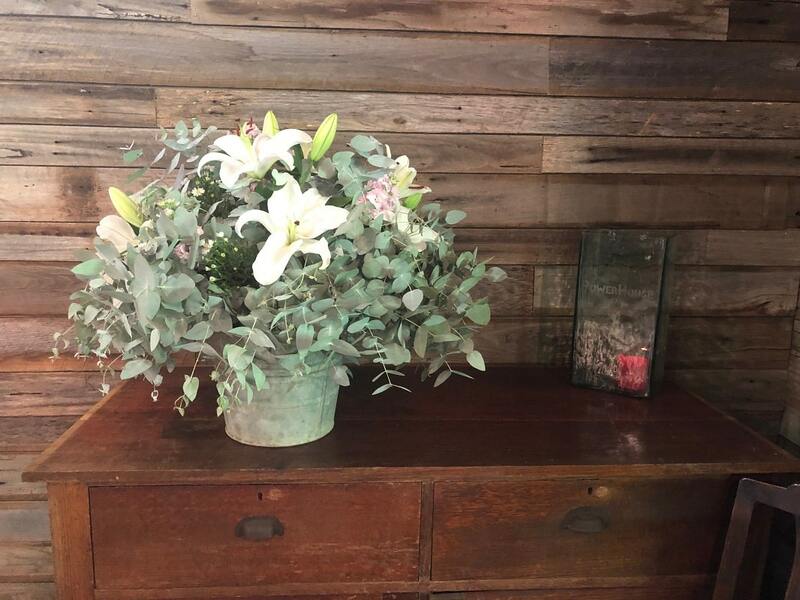 For Tillie and Jarryd, their Gum Gully Farm wedding in stunning Silvan created the ultimate backdrop that this nature-loving couple were hoping for. 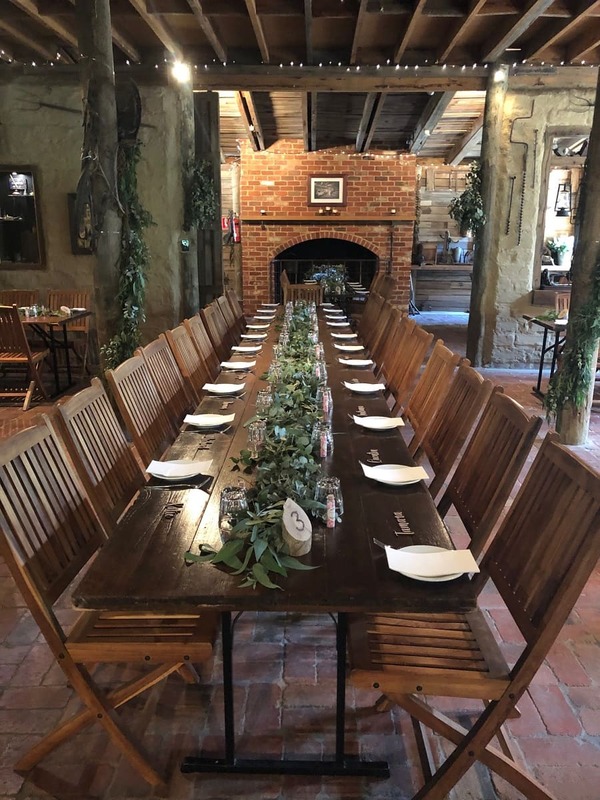 Their rustic themed wedding on 2nd March was taken care of exceptionally well by Sue, Simon and the Gum Gully Farm team, and while it was a hot day for everyone involved, the comfort of guests and bridal party alike came first. 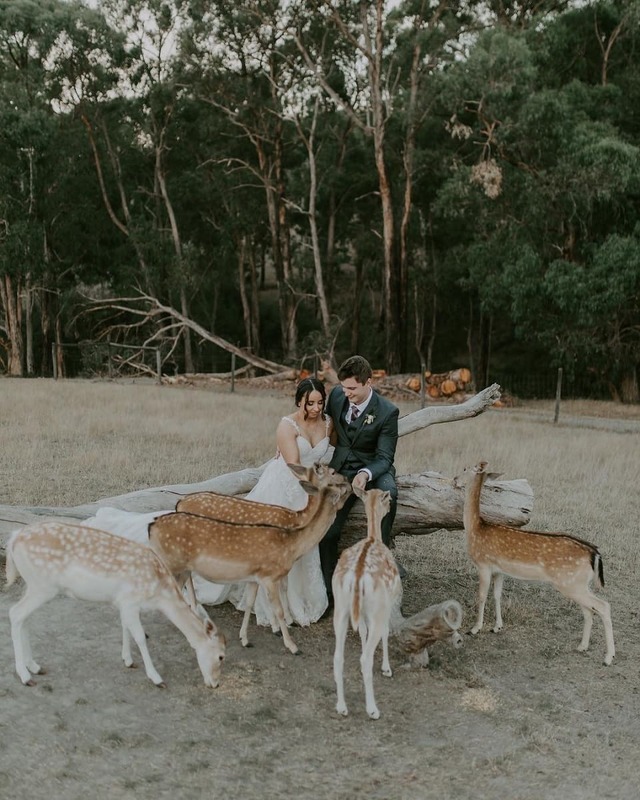 High school sweethearts, Tillie and Jarryd looked right at home feeding the deer, wandering the expansive grounds and enjoying the rustic charm of the venue. Tillie looked beautiful in her Stella York gown from Miss Gowns Bridal House in Pakenham, and makeup by Jayde Maree Makeup. Her bridesmaids were stunning in dresses from The Gown House. 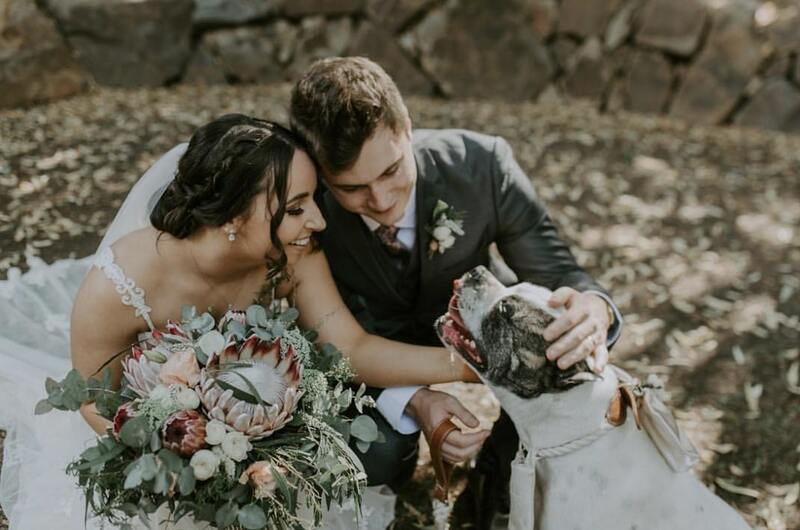 Their best friend, dog Maddy, stole the show while trotting down the aisle with the rings around his neck. The sun turned up for Tillie and Jarryd’s Gum Gully Farm wedding, surrounded by loved ones, natives and deer. 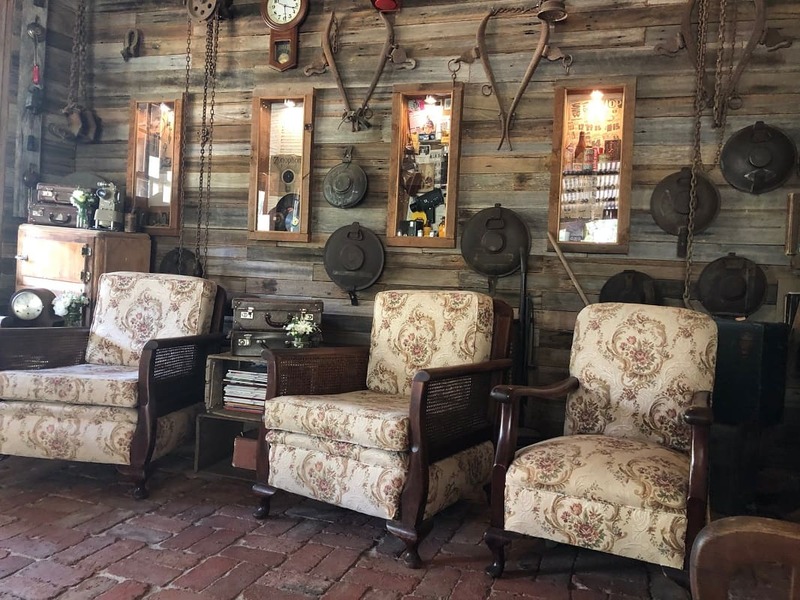 The surroundings were a perfect reflection of the happy couple, who said their “I Do’s” in air-conditioned comfort inside the Gum Gully Farm wedding chapel while the summer heat stayed outside. 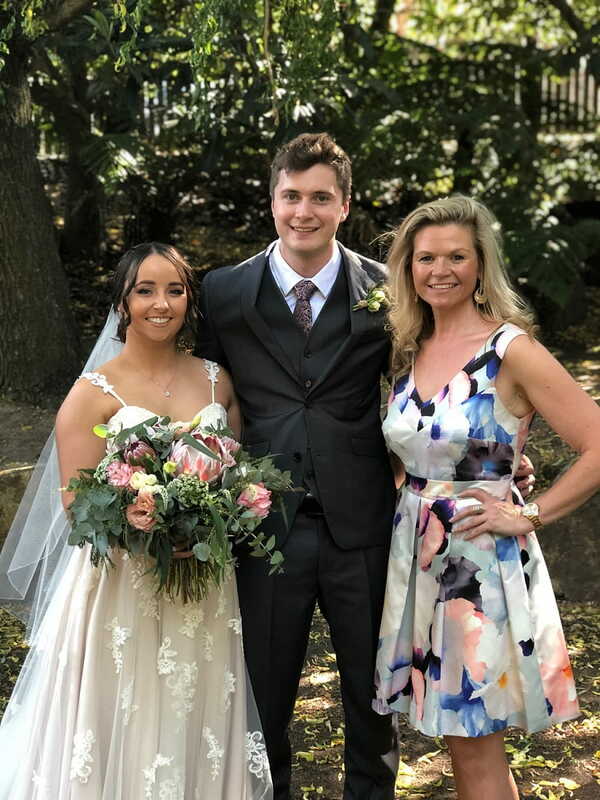 Supported by their bridal party of close friends and two beautiful nieces as flower girls, these newlyweds started married life as they wish to continue it – embracing the wonder of nature alongside their favourite people! 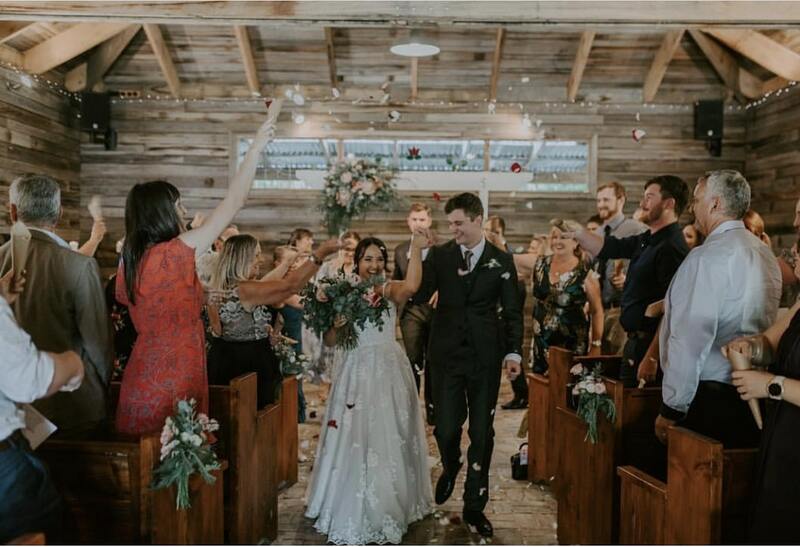 Emma Howlett Photography and Stu Art Productions captured their big day, including the gorgeous petal toss for their recessional. This is becoming a very popular choice for couples and makes for amazing photos! 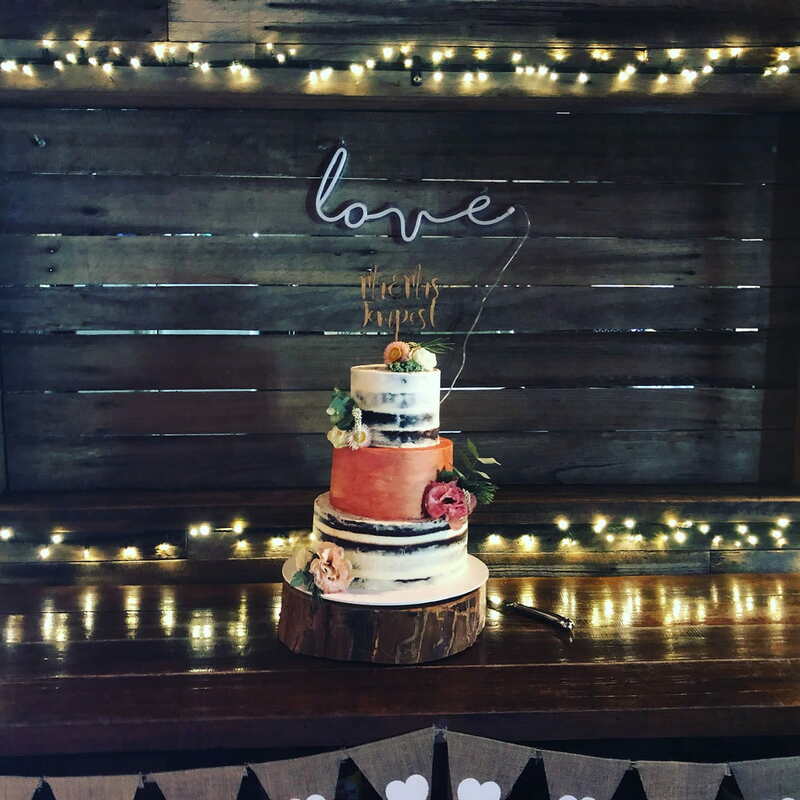 The native flowers by Valley Blooms and impressive wedding cake by Jess’ Cakes and Creations were the perfect complements to each other, and the theme of Tillie and Jarryd’s rustic celebration. Congratulations to Tillie and Jarryd, and thank you for giving me the honour of being your wedding celebrant. I wish you every happiness for the years ahead. Tillie and Jarryd met in year seven in high school, however they didn’t become close friends until year eleven when they were put in a graphics design class together. Tillie thought Jarryd was funny and seemed like a nice guy. They always seemed to have good conversations and he was more grown up than a lot of other guys that age. Jarryd says Tillie seemed interesting in these early stages and the type of person he’d like to know more about more.. She was also aesthetically pleasing to look at. For their first date – the day before Tillie asked Jarryd to be her boyfriend – they went to a shark and ray centre where they swam with stingrays and Port Jackson sharks. It went swimmingly. Jarryd kept pretending to feed the sharks with his fingers and teasing them, which is part of his playful, easy-going nature. Tillie was a little more nervous around the giant stingrays but Jarryd did well to keep her calm and make sure she had a good time. Tillie noticed early on that Jarryd was very family orientated, and put in a big effort to get to know her family and include her in his. He’s always been a very calm and easy-going person, which she finds comforting. Tillie was kind and interested in who Jarryd was as a person and didn’t take advantage of him. As well as being fun, she at least tried to laugh at his jokes/impressions. Tillie knew it was love when Jarryd took the time to get to know her and show her new things. They both love going on little day trips and one of their first dates as a couple was to a local garden where Jarryd organised a picnic. Jarryd knew Tillie was the one when she didn’t have a go at him for his love of peanut butter, and instead made him a peanut butter sandwich. Their love and relationship developed, and Jarryd proposed while they were on a cruise ship visiting New Caledonia. Tillie says his first plan was to propose on the beach at Isle of Pines, but she was feeling homesick and missed their dog, and just wanted to head back to the boat. He then was going to do out on the deck that night but it was very windy and so they went back inside. The next day they arrived at Noumea and started heading towards an old church, as Tillie likes looking at old churches. However, once they’d climbed to the top of the hill, they realised there was a service on so didn’t go inside. In the end, he proposed in the cabin, down on one knee. The ship had their White Party that night which the newly engaged couple went to and had a dance. They then had another 4 days without internet before arriving back home, so were able to just enjoy that time together, which was lovely. Day trips with their dog Maddy, movie dates, going for walks, cooking together, lazy days watching a TV show are some of the activities Tillie and Jarryd enjoy doing. Jarryd has taught Tillie to not take life too seriously and to learn to relax and let go. He has encouraged her to try her best and to excel at whatever it is she is doing. He has taught her the value of patience and how to look at things in a different way. Tillie has taught Jarryd that sometimes you need to plan and prepare for life and sometimes doing it on the day doesn’t always work out the way it should. Also, even though the colours are all the same doesn’t mean that they should be in the same load in the washing machine. That’s how you get those little balls on your shirt. Tillie and Jarryd look forward to continuing to watch their relationship grow and evolve. As they have been together since high school, they have both changed in many aspects of life. But one thing that has not changed is the love and respect they have for each other. They both encourage the other to be the best version of themselves. Being married and their future lives together may not always be easy, and they know there will be challenges along the way. They’re sure that having each other there through each life experience will be the most important part. They look forward to continuing to travel and have many new experiences together. Tillie and Jarryd hope they never stop making the time to just go on little outings and visit interesting places. Their hopes for the future include lots and lots of puppies (if Jarryd finally says yes) and travelling the world together in the future, as well as building a forever home on acreage, starting a family one day and raising them with the same set of values.